You don’t have to look very hard online to find a foreigner abroad looking for some of the comforts of home. Let’s take this American, for example. I miss canned pumpkin like crazy and a whole host of other things like PAM cooking spray, regular Cheerios, and more. No, it’s not a serious problem, but sometimes the little things make a huge difference in our day-to-day lives. As much as we might want something from home, there’s another person who rains on our parade saying unhelpful things like, “Stop trying to make France more like America!” or “If you want American peanut butter, move back to America!” Nice, huh? I’ve seen comments like those and worse on forums online. 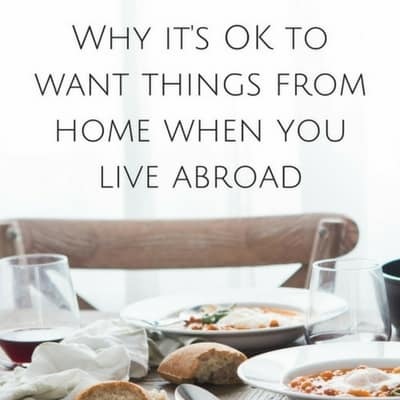 Here’s why it’s OK to want things from your home country when you live abroad along with my favorite place to buy American food in France! First, let me point out that life abroad can be an emotional roller coaster, one that you maybe weren’t 100% sure you wanted to ride and that never comes to a full stop. Stress and uncertainty are just 2 of the things that come with the major life change of picking up everything and moving thousands of miles away. So how do we deal? By doing all kinds of things that make us feel more comfortable and at ease. Things like staying in touch with friends and family, watching our favorite TV shows from home, connecting with new people, traveling, etc. And what’s one little thing that always gives me a boost? One of my favorite food products from home. By craving something from “home” and spending money on a taste of America, you’re not failing to integrate or insulting your new country. Even when you aren’t stressed and craving a comfort of home, sometimes you want what you want and there’s nothing wrong with that. In our technologically advanced society, it’s pretty simple to order anything your heart desires and have it delivered to your doorstep. Anyway, I think it’s silly when people criticize others about the most insignificant things, and while doing so, throw respect and civility out the window. It’s even more ridiculous when it’s a tad hypocritical. 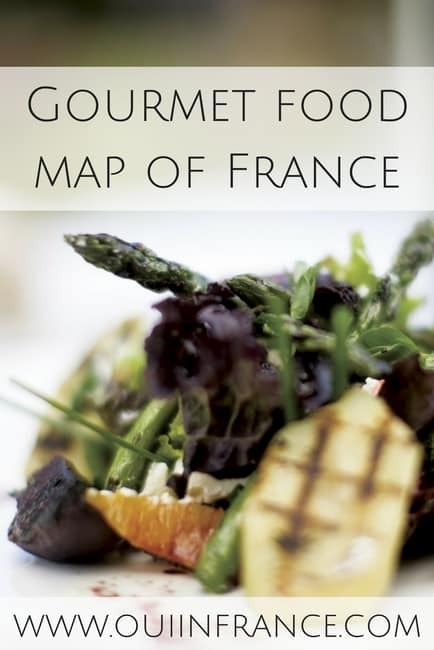 Take for example someone who happily seeks out French wine or cheese in the USA and in the same breath criticizes an American abroad for trying to find American food in France. Would anyone tell an American living in America to “Go to France!” if they’re looking for French wine for dinner and that they should only drink wine from Napa Valley? Are we only supposed to eat and do American things in America? Surely no one thinks the answer to that is yes. In NYC where there’s a wealth of amazing ethnic restaurants, are we supposed to ignore them if we’re American? Of course not. Or is it appropriate to tell an American in NYC who eats sushi on Saturday nights to move to Japan and only eat American foods in America? Of course not. See how silly that all sounds? It’s the same thing for us foreigners in France. There’s nothing shameful in wanting a taste of home. Or a taste of Mexico or Japan or Ethiopia. I eat like the French and do my best to be culturally aware and respectful. 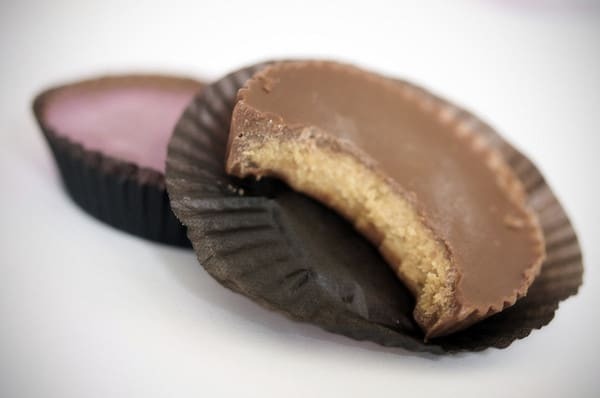 None of that has anything to do with wanting a Reese’s Peanut Butter Cup once in a while. Wanting something from home does not mean you’re not integrating. In this global economy, why the heck not take advantage of the products and services that are available to us? To that end, let me introduce you to My Little America. Founded by Todd and Anthony (American and French, respectively), My Little America offers customers over 600 American products for sale in their France-based shop. 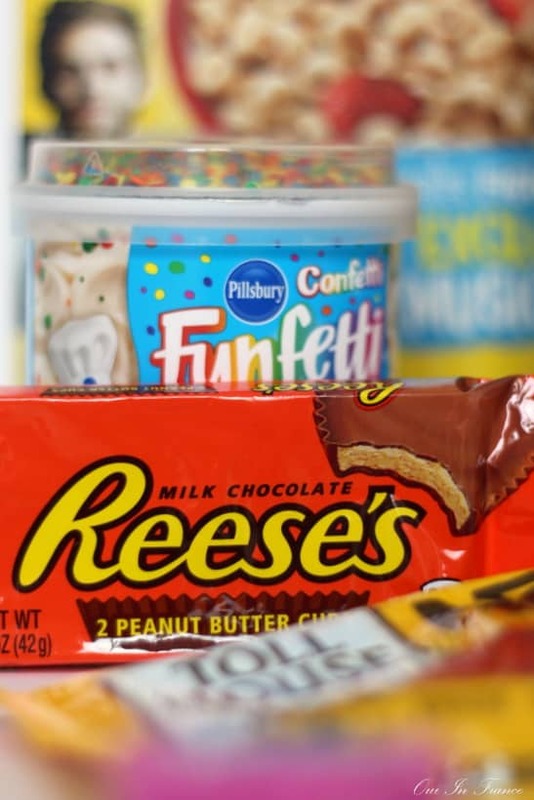 From savory to sweet and beyond, they’re one of the biggest American grocery stores in Europe! Shipping is free on orders over 99 € (and be sure to check out the end of my post for a coupon code!). So who is My Little America for? Is it expensive? Well, prices are going to be higher than US prices because of import, shipping, and customs costs to get the products to France. For times when you want to treat yourself, though, I find the prices more than reasonable when you factor everything in. Take note of how the items are carefully packed and wrapped. Unlike other American grocery stores I’ve shopped at, My Little America took extreme care in their shipping to ensure nothing arrived damaged. Everything was packed securely and wasn’t left to roll around in the box. When you’re paying for something from home, you want it to arrive in one piece! Their packing can’t be beat! Nestle Toll House Semisweet Chocolate Chips . I love these for baking and normally only small bags of mini chips are readily available in France. 1 pack of Reese’s Peanut Butter Cups . Because duh. Pam Cooking Spray . France may want to start making something comparable. Just sayin’. Funfetti Frosting . Because it’s fun. Mini box of Nerds candies as a free gift. The same week, I also received a care package from home which included some of the goodies below. 😉 So yup, I’m a happy camper! Last thing. If you’ve gone full native and never want anything from home, that’s more than fine. To each his (or her) own. Companies like My Little America exist for people looking for American food in France. If something as simple as a food product from home makes us happy, I’d consider that a win. With a store like My Little America, those of us living in France can easily and affordably treat ourselves. Sometimes all it takes is a simple comfort to make a foreign land feel more like home. 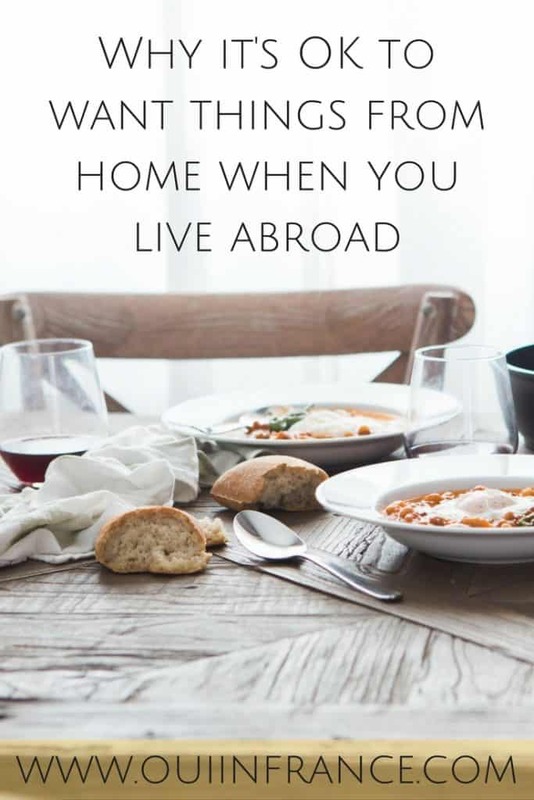 Do you live abroad? What do you miss from home? Disclosure: I was not compensated for this post. I am an affiliate of My Little America meaning I may make a small commission if you order via one of my links (at no additional cost to you). Thanks for supporting the companies that support Oui In France. When I lived in Kenya, I jury-rigged an oven and made brownies regularly–a taste of home that helped the homesickness. In Carcassonne, there used to be a little shop with foreign foods, mostly British, but they did carry Philadelphia cream cheese (for cheesecake, of course), which cost a fortune. Happily, before they closed I discovered that St. Môret and store-brand fromage à tartiner is the same thing, far cheaper. Otherwise, I have gotten along pretty well by cooking from scratch. Funfetti cake? Made it from scratch. I regularly cook American dishes for French friends–they almost expect it. Mexican food is a hit, too. 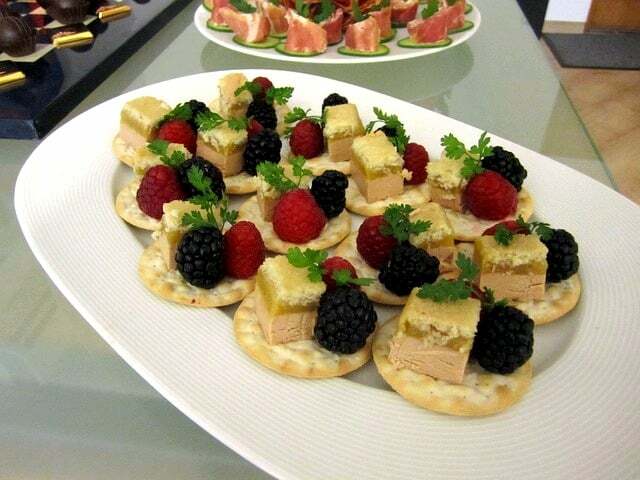 And now we can even find Philadelphia cream cheese in France! Thank you, Anna! I’ve been to the Thanksgiving store a bunch of times and love it. 🙂 But way easier for me to just order online since I’m about four hours away by car. The thing I miss most from South Africa is their non-stick cook and spray. There is nothing like it here, or in the UK. But I can order it from the South African shop in the UK which keeps me happy. I order 6 at a time and it keeps perfectly. I have never tried the American Pam cooking spray so I cannot compare it. It is so easy to use and I use it all the time for cooking and baking. Yup, if it’s anything like Pam I’m sure it’s fabulous. Nonstick and so versatile! Hi Diane: Thanks for the nostalgia! But, did you know you could order practically all of these same things from Printemps’s Epicerie in Paris? And they deliver…I ordered from them when I was flush! Since then, I have found more and more American products around….Leclerc, Aldi (occasionally they have TRader Joe stuff!) and Lidle….but I must say I found a few things on this site you wrote about: Crisco, Jello, Cream of Wheat, HOt TAmales, and a few others…. by the way, here’s something I never knew: I always thought that the canned pumpkin was something special…Not! I realized pumpkins are grown here, too…so one day I bought one, cut it up and roasted it with some sea salt, threw it in the blender and voila! canned pumpkin! Very easy, albeit a bit messy….that’s all canned pumpkin is…well, pumpkin! Just a thought for the future….thanks for the info! Hi Carolyn, thanks for your comment! 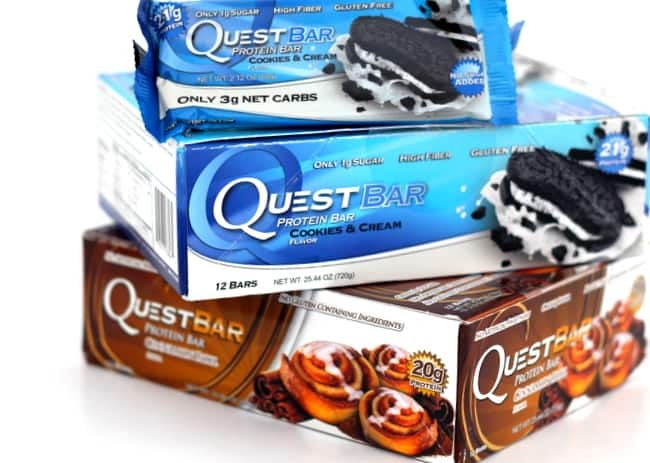 Yes, there are several stores online now that offer American products delivered to your front door. I love it! I don’t have an Aldi nearby but will have to go next time I’m on the road. What kinds of TJ’s products have you found? The frozen cooked pumpkin from Picard works pretty well, although you may wish to drain it a little first! 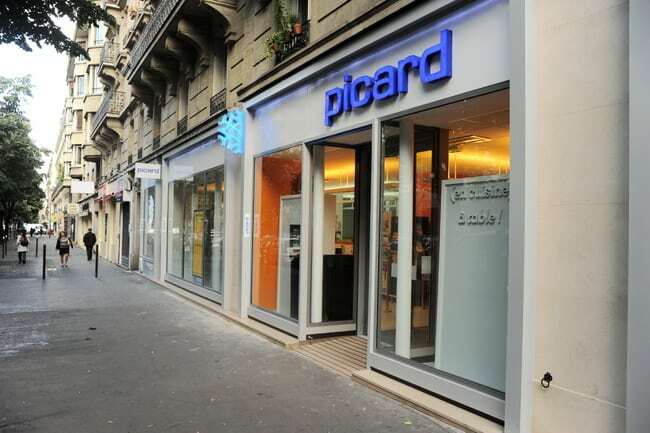 Why, oh why, don’t we have Picard in the US??!! And, lots of expats don’t realize that “polenta” is corn meal—so spread that around! Some good peanut butters in the “bio” (organic) food shops, too! I have found peanut butter, even crunchy in Carrefour and LeClerc and other stores with no problem, but PB is SO easy to make – just pop the peanuts in the blender with peanut oil, some sea salt and Voila! I often used to make different nut spreads or even buy canned mixed nuts for a really nutty spread – walnut oil etc. also works well. Pumpkin is indeed so easy to make and I haven’t looked yet, but they grow a lot of pumpkin here, maybe we just don’t yet know either what it is called – they seem to use a ton of puree pumpkin and squashes in all of their soups, so it well might be here. I haven’t seen any of those comments you mention but… really? As much as I love France, every time I come over I always bring my teabags with me, I just couldn’t function without my morning cuppa. And although you can get them in France, they’re just not the same. When my folks lived in Seattle for a couple of years they missed stuff too, luckily a never ending stream of visitors from the UK were able to provide some of them. Enjoy your Reese’s pieces. Oh I am on a bunch of expat sites and believe me – people really, really rag on people when they ask where they can get UK & US products, and my answers is always, what you don’t eat pizza, curry, Italian, Chinese etc.? We ate different nationalities many times a week in the US, will continue to do so here. I also miss pumpkin…but sine my boxes have yet to arrive, I can’t bake anything yet. I do have some friends coming to France tomorrow-I am meeting them in Paris for the day-and they are brining me a can of pumpkin! I think of you whenever I am in my local Monoprix because they always have Reece’s cups. Thanks for sharing a site that gives us a little taste of home! Have a great time in Paris! 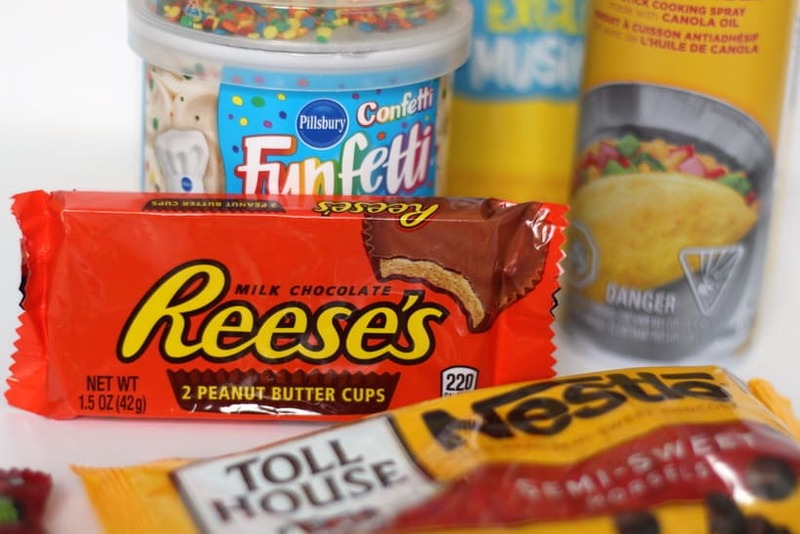 The closest Monoprix to me is in Angers and I’ve never seen Reese’s there. Bummer! It’s definitely OK to miss food you grew up with and no one should judge you for it! I mean, you can adapt completely to a new culture and appreciate it WHILE enjoying stuff from your other culture. And after all, how many of us crave Italian/Chinese/Indian/Japanese food etc. on a regular basis?? If this is OK, why craving foods from home shouldn’t?? I’m relatively lucky because I can find a few French products in Ottawa. Vache qui rit cheese, a few French cookies (mostly from LU and Saint-Michel, those are the ones I like best anyway! ), Danette yogurt (not a huge fan), etc. I don’t splurge on imported cheese because I’m the only one eating it at home and I don’t buy baguette bread either because I’m fine with fresh rye bread (more common in Ottawa, lasts longer than baguette too). Unfortunately, most of the stuff I truly miss are hard to buy online or bring back, like French yogurts and salted butter. I developed an addiction to canned pumpkin, I cooked it with oatmeal and leeks 😉 Delicious! The US does have great products French shouldn’t be snotty about. It’s not *just* junk food!!! Exactly, there’s no harm in wanting a candy or cereal that reminds you of home! Or seeking out ethnic food. People are nuts! So tell me, did you cook the pumpkin with oatmeal and leeks together or those are 2 separate recipes? I love pumpkin oatmeal with a hint of maple syrup an cinnamon. How long have you been in Ottawa now? Yup, things from our childhood carry through to adulthood for sure! My grandma used to only buy coffee ice cream so as a little kid that’s all I ate. And guess what…. it’s my favorite flavor! I’m lucky that I haven’t run across anyone who thinks it is unusual that I miss some American foods, but like Juliette, the foods I miss are not processed, so not available here! I quit eating most processed/packaged American foods a long time ago because many of them contain soy in some form and I’m allergic. I do miss good American smoked BBQ and, ironically, certain ethnic foods that are harder to find here in France. The one thing my French friends do tease me about is that, despite thinking American McDonalds is disgusting, I occasionally eat at McDos in France . . . usually when I’m feeling a little homesick. I typically avoid American food when I’m traveling, but I think it’s entirely different when you live somewhere! It’s unfortunate that some people think it is appropriate to tell others what they should or should not eat. Ah yea, allergies are a major pain. I can understand the allure of McDonald’s! These days, it’s my go-to place for coffee to go! One by me has a separate McCafe area so I always pop in before we get on the autoroute! I would definitely have a craving for Reeses cups if I lived in France. And pumpkin pie. I assume Starbucks in France serves pumpkin latte in the fall? (I’m a sucker for pumpkin everything – lets not forget Dunkin Donuts pumpkin donuts). Hi Todd! I know the Starbucks in Paris do go all out in the fall with everything pumpkin spice just like at home. I’m guessing all locations have pumpkin spice drinks but I’ll have to go to the one in Nantes (closest to me, still haven’t gone and it’s been open for over a year!) to be sure. Fall seems like a good time to go. Ooooh, don’t get me started on the DD pumpkin donuts. Ahhh, the spice is just perfect. I could go for a pumpkin muffin right about now. I may have to make some. I have 3 cans of pumpkin in my pantry! Great photography work in this post Diane. I wish there was something similar in Italy, although nowadays there are tons of American products in the normal supermarkets. 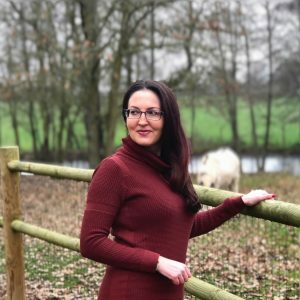 I’m British, living in a smallish village in central France, so you can imagine that there are some things that I miss that we can’t get anywhere in France – the main one being Branston baked beans, HP sauce, and Assam loose leaf tea for my husband. When we go to the UK we do stock up on these things, plus some other stuff, like Blue Dragon Chinese cooking sauces, mango chutney, and Cadburys chocolate biscuits. Bacon, sausages, Stilton and Cheddar are other essentials. I’ve found that the Super U near my work sells some British stuff – marmalade, for one, and jelly cubes! – but at a premium, of course. Happily, Noz (do you know Noz? I love it!!) often sells British beer so I buy some when I see it for Mr FD. Certainly, nobody I know here thinks I’m odd for wanting to bring certain foods back to France. Just like nobody in the UK thought I was odd taking French foodstuffs back from holiday, when we lived there. I love when the supermarkets surprise us with products from home. Glad you’ve been able to find some goodies in your area! You do such a great job of putting things in perspective. I hate it when people post critical comments in expat Facebook groups just to be negative – it’s not constructive at all. There wasn’t a lot I really missed from the States, but my friends and I did get the canned pumpkin for Thanksgiving! (I know it’s just pumpkin, but no way am I hacking up and roasting an actual squash.) 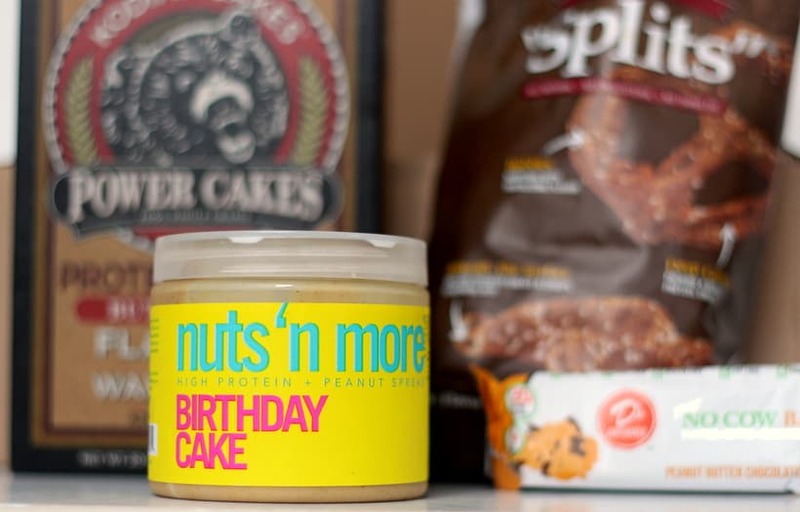 I also brought back peanut butter and dark chocolate peanut butter cups from Trader Joe’s 🙂 It was also easy to get things like tortillas and corn and brown sugar in Lyon, but I would have missed those things had they not been readily available. It’s so odd, for the most part I have either found the french equivalent to an american product such as cream cheese, although as someone pointed out most stores now sell Philly, but I miss cottage cheese. I am told Dannon, Jockey and it will say cottage cheese on it is sold here,. But I keep looking especially as more and more people from the US and UK are arriving but in Redon – zip, not at Lidl, Intermarche or LeClerc I love it with fresh green, red & yellow peppers, with chopped olives with lovely fresh ground pepper and sea salt with peaches and other fruit and even on my salads. Am told you can make it, but when the Chef at Yves Rocher said his didn’t come out well, we rented from him for the last 6 months, not sure I want to try it. So far after being here almost 7 months there isn’t too much I am missing yet. I couldn’t find a turkey at Thanksgiving so bought a capon – OMG it was a cross between chicken and turkey and even my husband who loves turkey said this is better (used to buy small ones in the US, but these are the size of a small turkey). I did snag a couple bags of fresh cranberries and made a lovely sauce – the rest was easy to score I am happy to say.